The Key Assets Behavioral Health was created in response to a need for high quality outpatient behavioral health services, especially for Medicaid recipients. Services are aimed at meeting the behavioral health needs of children and adults in Fayette County and our surrounding communities. Services are provided in a variety of community settings and in our office location in Lexington. A primary focus of service delivery is to prevent unnecessary hospitalizations for clients with co-occurring mental health diagnoses. 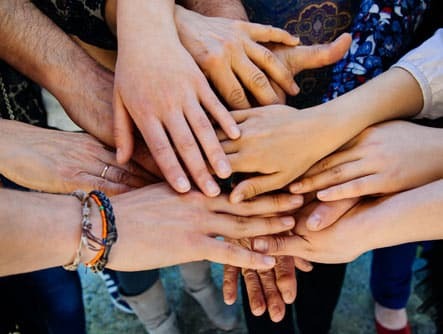 Key Assets Behavioral Health provides an array of services including individual and group therapy, targeted case management, peer support specialists and community support associates. Use of evidence-based practices is another method of ensuring the highest quality of service delivery, as is our use of a collaborative approach to service delivery. Our team partners with each client and the client’s support system to provide meaningful treatment plans and to ensure that intervention efforts are tailored to meet individual and family needs. In order to determine which type of service will be most beneficial to the client, Key Assets Behavioral Health specialists perform a variety of assessments including assessment for autism utilizing the Autism Diagnostic Observation Schedule-2 (ADOS-2), trauma assessment combining use of standardized measures (Trauma Symptom Checklist for Children and Trauma Symptom Inventory) and trauma-informed clinical interviews. Use of empirically supported assessment measures to complement clinical interviewing and observation is viewed as best practice and provides the basis for meaningful therapeutic intervention. Routine re-administration of measures throughout service provision assists Key Assets Behavioral Health clinicians with monitoring and ensuring treatment effectiveness.